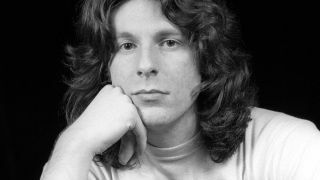 Drummer Ted McKenna, who played with a range of artists including Rory Gallagher, The Sensational Alex Harvey Band, Ian Gillan and Michael Schenker, has died at the age of 68. The news was confirmed on Facebook by a close friend, who wrote, "For everyone who loved him, Ted died this morning from a haemorrhage during elective surgery. Freak occurrence and a huge surgical team fought for 10 hours to save him. "Unfortunately there was no solution to stop the bleeding and he faded away without ever knowing. I'm going to miss him so much." McKenna was born in Lennoxtown, Scotland, in 1950, and played on all seven of The Sensational Alex Harvey Band's studio albums, as well as Fourplay, the album they made without Alex Harvey under the name SAHB (without Alex). The band, whose iconic Faith Healer was first played at the Reading Festival in 1973 – where it was a transformative highlight – were a big influence on a young Joe Elliott. “Alex had a habit of coming up to me on stage and hammering my cymbals during the solos,” McKenna told Classic Rock in 2016. “Joe Elliott came to see us one night at Sheffield City Hall, right at the front. Alex hit a cymbal, it fell off the riser and rolled towards the edge of the stage. The band splintered after Rock Drill was released in 1978, and McKenna was asked to replace Rod de'Ath in Rory Gallagher's band as it reverted to a power trio lineup. McKenna played on Photo-Finish in 1978, on Top Priority the following year, and on 1980's live album Stage Struck. McKenna also worked as a session musician alongside Greg Lake and Gary Moore in The Greg Lake Band, the Michael Schenker Group, Ian Gillan and Nazareth singer Dan McCafferty. More recently, McKenna was part of the Michael Schenker Fest lineup, which reunited the guitarist with the three original MSG singers, Gary Barden, Graham Bonnet and Robin McAuley. Former Status Quo drummer John Coghlan paid tribute on twitter, saying: "Very sorry to receive the sad news of our dear friend Ted McKenna. Fab drummer and such a great guy. We shall miss you." Bassist Neil Murray wrote: "Completely shocked by the very sad news of the sudden death of drummer Ted McKenna (SAHB, Michael Schenker, Rory Gallagher and many others) who I spent time with only three weeks ago at the Cozy Powell Birthday Bash. A lovely guy and great drummer who will be much missed."